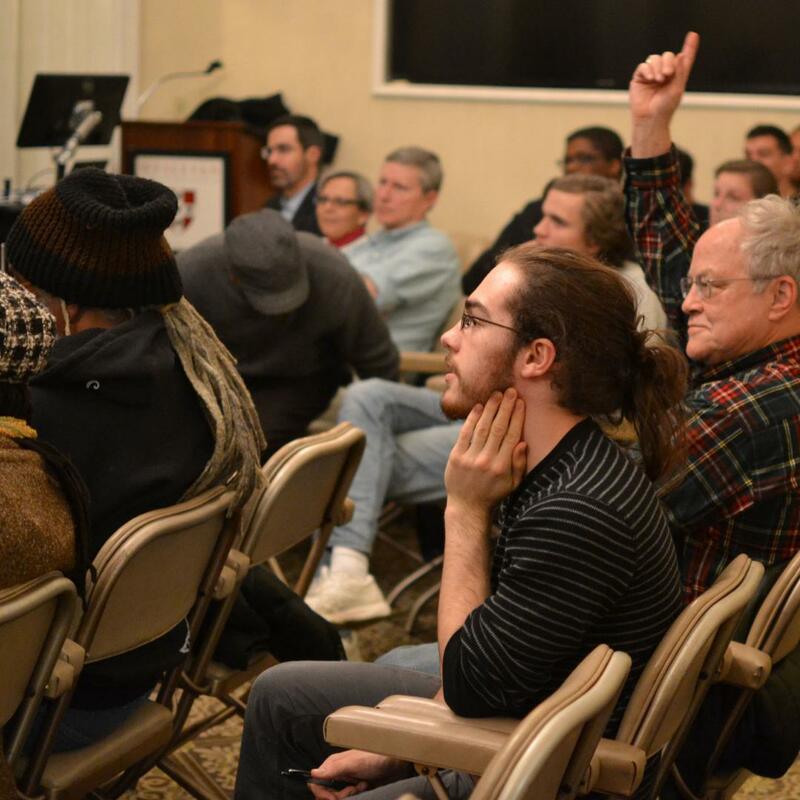 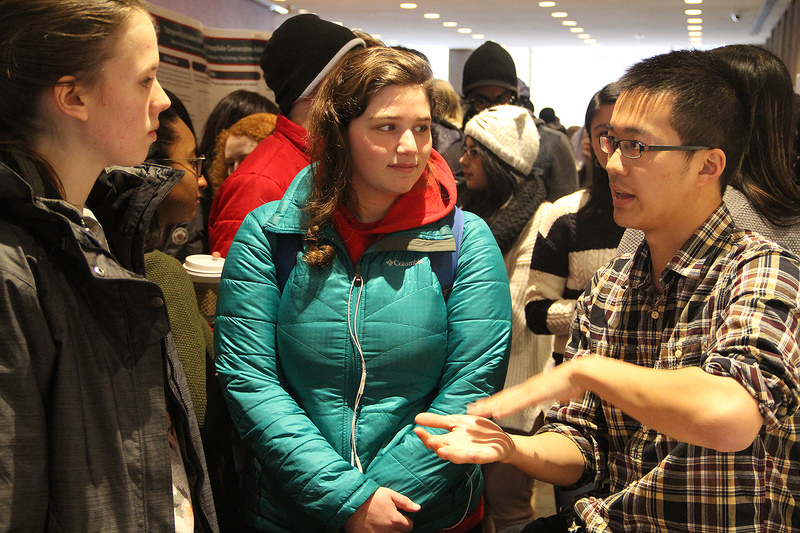 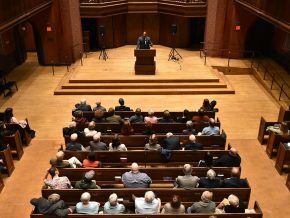 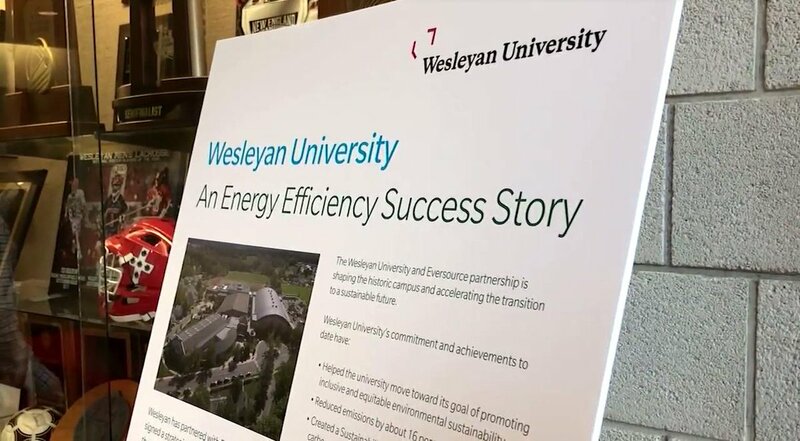 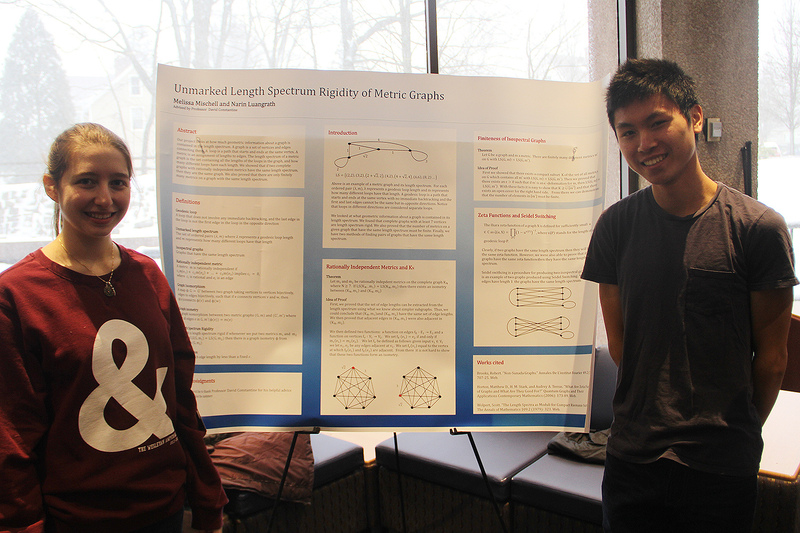 During an undergraduate poster session on Jan. 23, Wesleyan students shared their research with aspiring students interested in finding a research group. 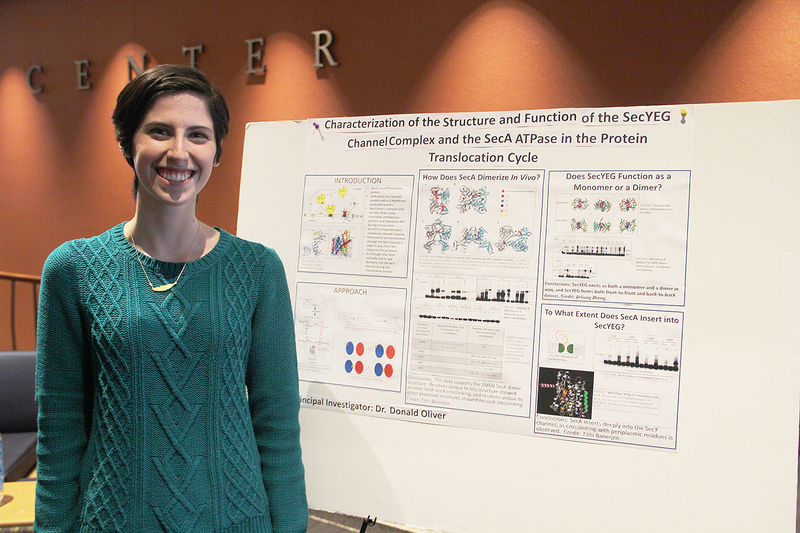 Jane Abolafia ’16 spoke about her molecular biology research. 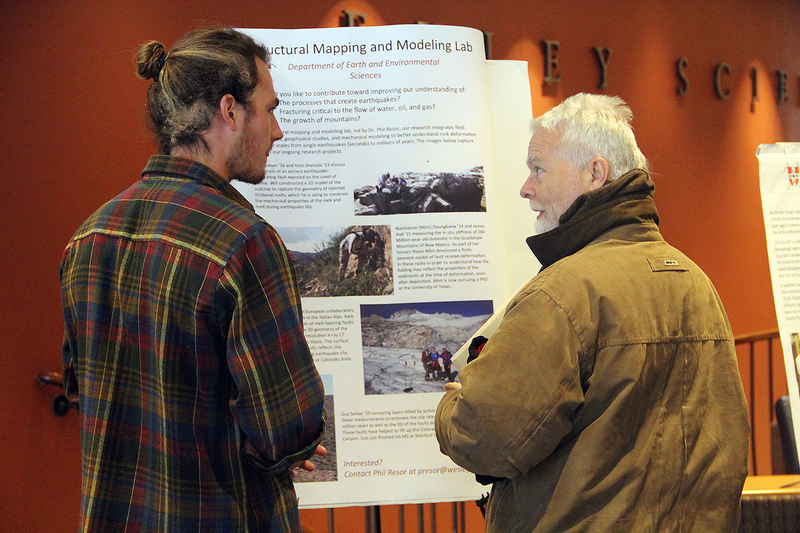 Will Sawyer ’16 presented research on “Structural Mapping and Modeling,” where he fielded observations, geographical studies, and mechanical modeling to better understand rock deformation. 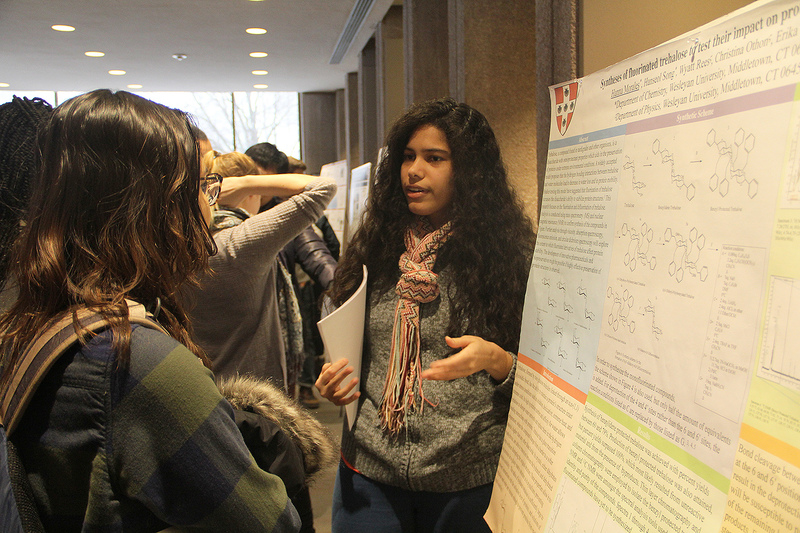 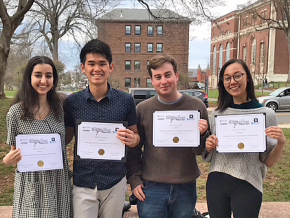 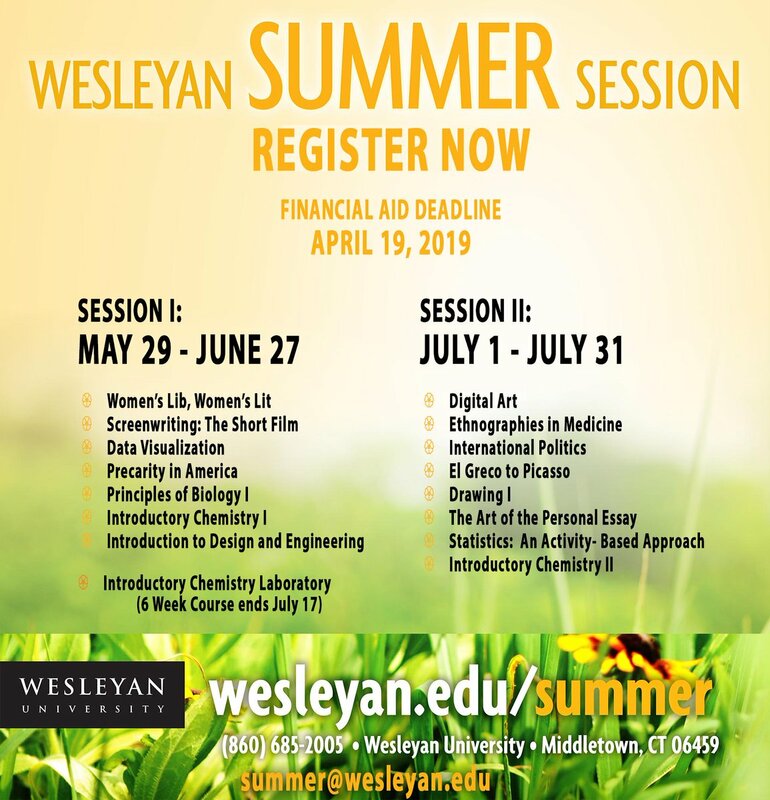 Hannah Morales ’17 discusses her group’s research on “Syntheses of fluorinated trehalose to test their impact on protein stability.” The research is a collaboration between the Department of Physics and Department of Chemistry. 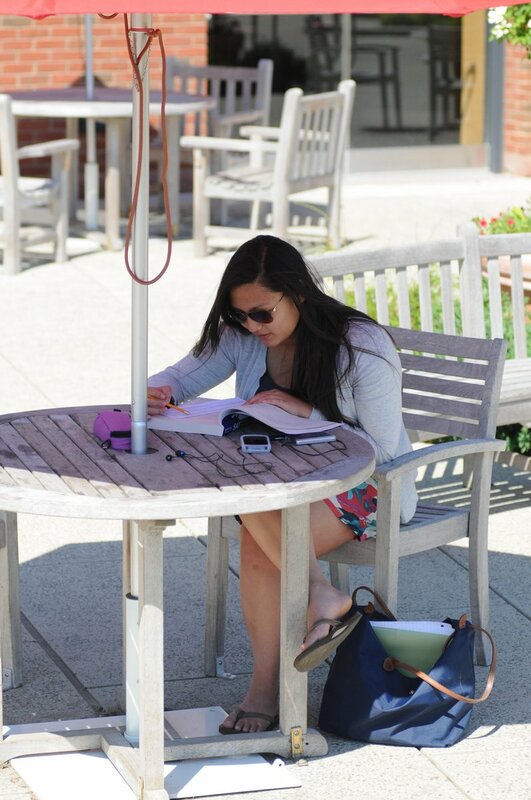 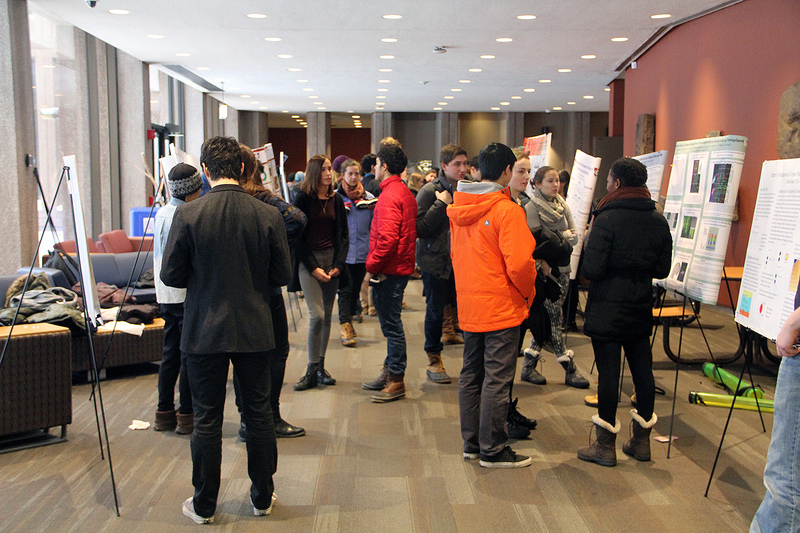 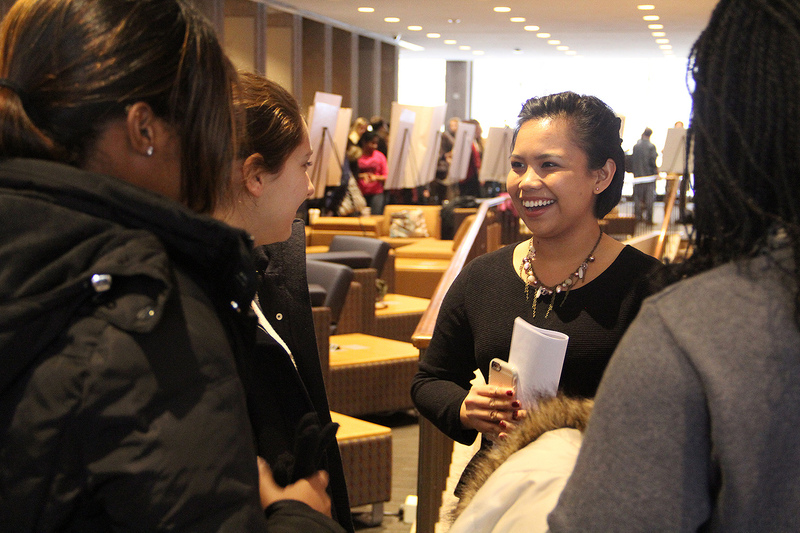 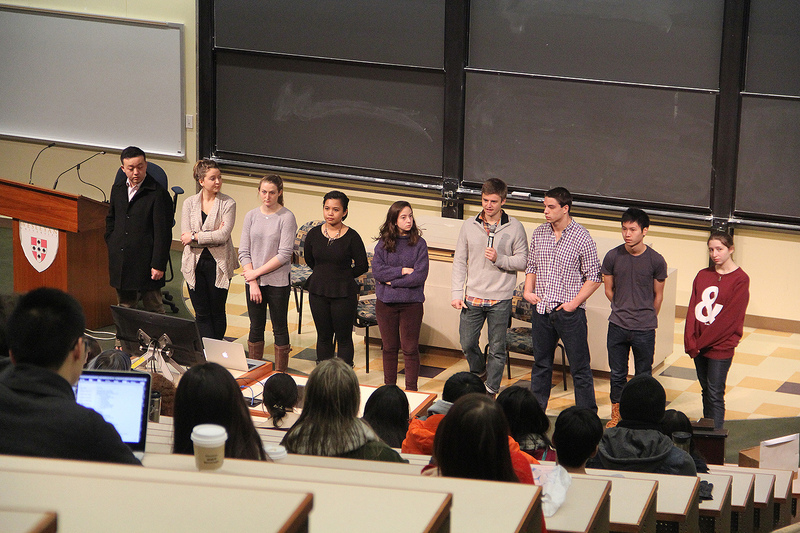 Prior to the poster session, students hosted a seminar, focusing on finding a research group.